If you missed this event or would like to revisit the presentation, please click the link below to view the presentation slides. Thank you! After 6 years of use, lessons learned and industry advancements are being incorporated into Envision, the guidance and rating system for sustainable infrastructure supported by ASCE. Envision is adaptable for all types of infrastructure, comprehensive with all best practices, and thorough for all lifecycle phases. The guidance is free online, and the professional credential (ENV SP) and a third-party project verification and recognition are available for a fee. Envision is intended to be seamlessly integrated into current practices to minimize any impacts to schedule and budget. The benefits of using Envision include applying best practices, recognizing triple bottom line impacts, transparency, accountability, and, ultimately, demonstrating good governance. The Institute for Sustainable Infrastructure released Envision v2 in 2012 with 60 credits organized into 5 categories. Envision v3 includes 64 credits in similar categories. There are 14 new credits, 6 significantly rewritten credits, 7 credits were eliminated, and other credits were combined. The new credits cover construction safety, equity and social justice, economic evaluations, and resilience. Projects can register under v2 through the end of 2018 and will receive an award for the planning and design phase. Project registration under v3 will be available in summer 2018 for projects to earn an optional provisional award for the planning and design phase and a full award after construction is complete. Details of how several Virginia municipalities are using (and requiring) Envision to promote building infrastructure in a way that improves the environment, public health, and quality of life will be shared. A case study on a private development earning an Envision award will illustrate the benefit to the community and the power of collaboration to change the industry. The Institute for Sustainable Infrastructure was founded by the American Public Works Association, American Society of Civil Engineers, and American Council of Engineering Companies specifically to administer the Envision system created in partnership with the Zofnass Program for Sustainable Infrastructure at the Harvard University Graduate School of Design. 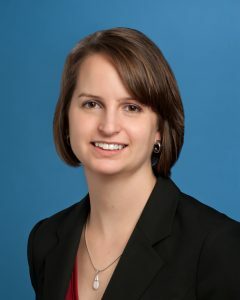 Denise Nelson is a Civil Environmental Engineer, Envision Sustainability Professional, and a LEED AP. She is also qualified as an ISI-approved Envision trainer and an Envision verifier. She has fifteen years’ experience in design and application of best practices for water, wastewater, and stormwater utilities as well as training, marketing, and management of a non-profit organization. Her experience includes service with large and small firms in the US and New Zealand. She is active on sustainability committees for national ASCE and local chapters of the American Public Works Association, the Water Environment Federation, and the American Water Works Association. She is also active on LinkedIn and twitter. Mrs. Nelson received her Bachelors of Science degree in Civil Engineering from Virginia Tech and her Masters of Science degree in Environmental Engineering from the University of Cincinnati.